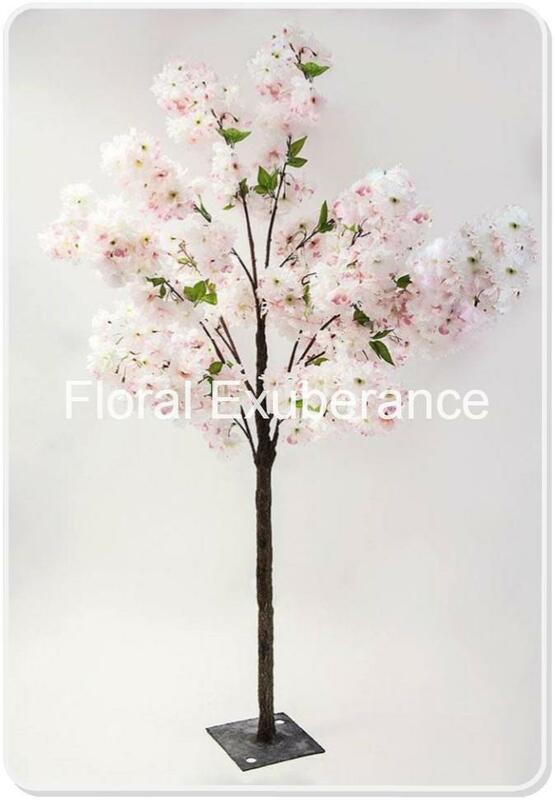 Both the Pink and Ivory Trees stand 3.2 metres tall. 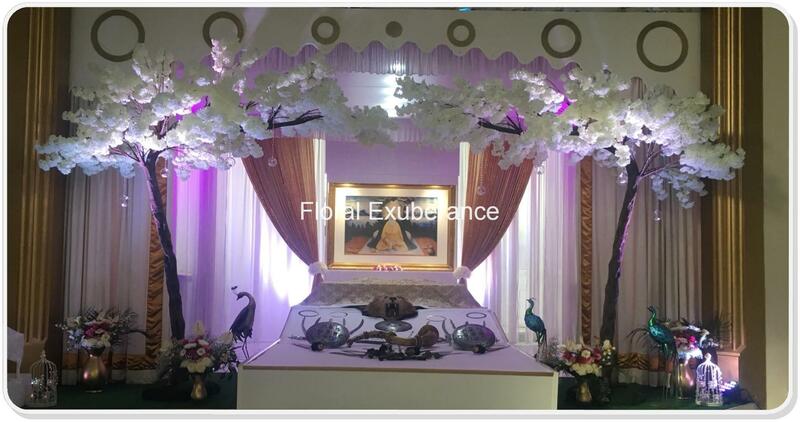 HIRE PRICE – £250.00 for the Arch or £150 for one Tree – There may be a delivery fee depending upon your location. 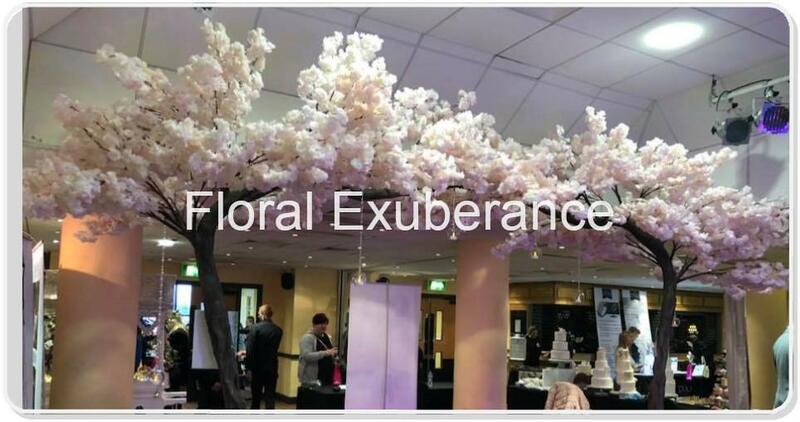 Blossom Canopy Tree ~Delivery and set up within a 75 mile radius of Walsall, ~Our Set up Service is Available ​24 Hours a day~362 days a year~Events 24 hours a day~7 Days a week! 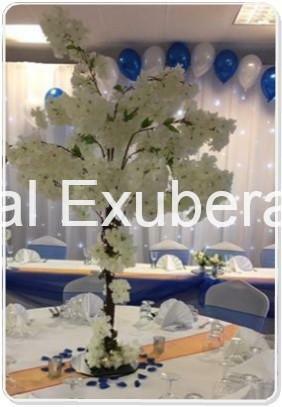 Our 5 ft Ivory Blossom Tree Centerpieces give any venue the WOW factor. 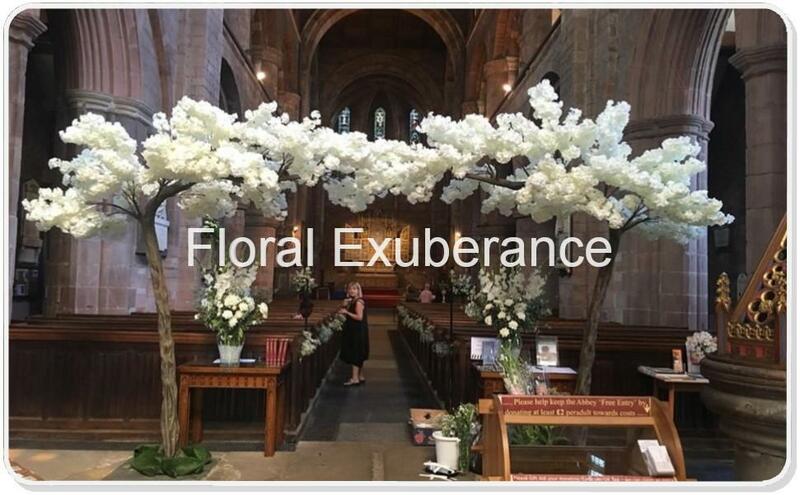 Hanging glass baubles with led candles these cost an extra £2.50 each, this includes bauble, candle and petals, you can have as many as you want. 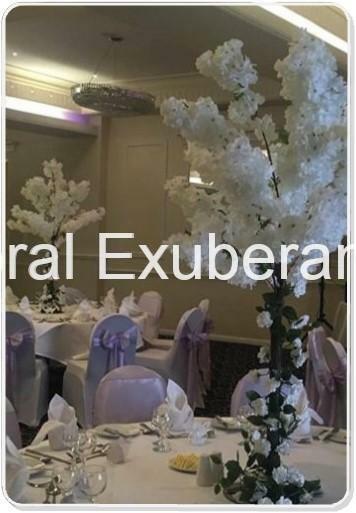 Should you require our trees moving from your wedding room to your reception room there there is a small fee for this service – please ask. 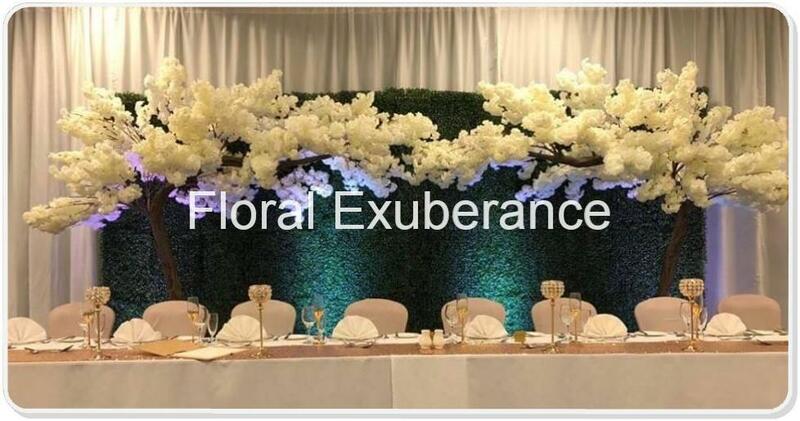 Contact Emma for your quote at emma@floralexuberance.co.uk or call 01543 453572. 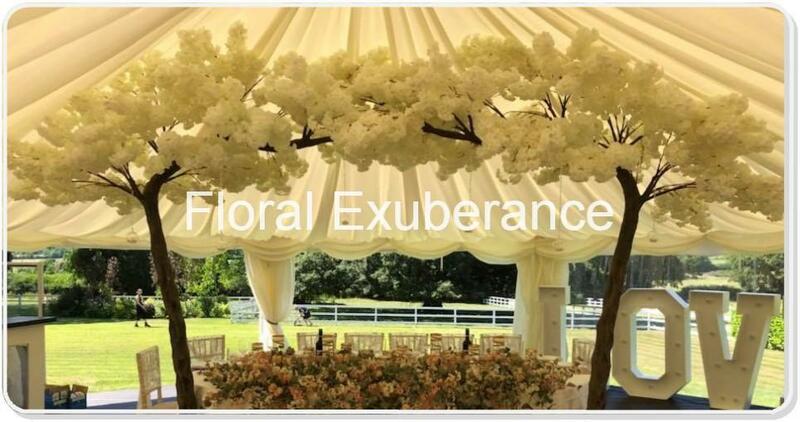 When asking for a quote please supply your wedding date and venue so we can check availability.